The W-4 is an Internal Revenue Service (IRS) document you fill out with your employer that allows a percentage of your income to be withheld for annual taxes. You claim the number of allowances you want the IRS to recognize based on factors you know about yourself. Most people who are single and working only one job would claim a "1" on their form. It may seem counterintuitive but claiming a zero on your W-4 form will actually increase the amount of your income withheld each pay period. Claiming a zero tells your employer that you do not anticipate any "allowances" on your income taxes and instructs the business to withhold the maximum amount each pay period. Is Claiming More Allowances on My W4 Illegal? If you work a second job, or have a home business or receive added income from investments or rental property, it's possible you may underpay on your taxes. 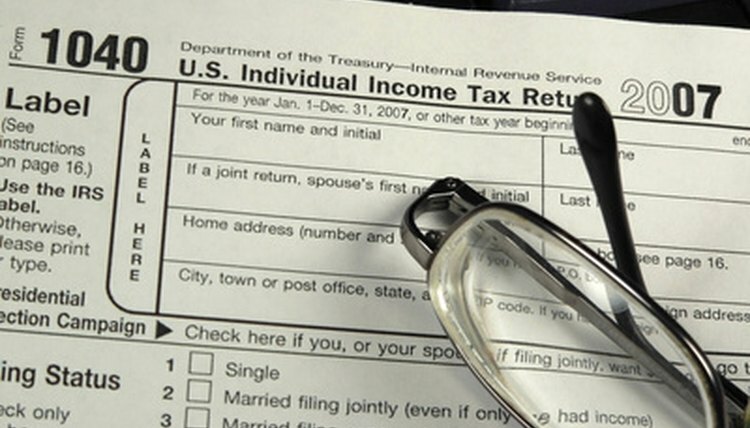 Come April 15 -- tax day -- you may owe the IRS a lot of money. One way to help alleviate that pain is by withholding more each pay period. You can calculate how much extra you'll want to withhold and instruct your employer to do so by filing additional forms available on the IRS's website. Some people withhold the maximum amount because it helps them to save money throughout the year. If you normally would qualify for 1 allowance, but you put down a "0" instead, you will likely see a big tax return each year. That can be helpful if you have trouble saving money. The downside is that the government doesn't pay you any interest on the extra taxes you pay them throughout the year and you may be better off putting that lost money a bank account. Thom Roberts began writing professionally in 2003. He has written a number of works admitted to the record in state courts in Florida, Arizona and New Mexico as well as for Federal Courts in the 11th Circuit. Roberts earned his Juris Doctorate from the University of Miami School of Law and his Bachelor of Arts in bioethics from Wittenberg University in Ohio. Roberts, Thom. "The Advantages of Claiming Zero on a W4." , https://legalbeagle.com/7351702-advantages-claiming-zero-w4.html. Accessed 19 April 2019.